You are here: Home / Dr. Krant wins BEST PLASTIC SURGEON! / Cosmetic Surgery / What is Sculptra? It’s the subtle things that can make a huge difference. And for those seeking a more natural-looking appearance, without giving you away, there’s Sculptra. This anti-aging practice helps replace the lost collagen in your face and is one of the first facial injectables in the market that provides your face with subtle results over a period of time. Sculptra helps correct shallow to deep facial wrinkles and folds. According to Sculptra.us, in a clinical study, the effects lasted for up to 2 years after the first treatment session in most patients. While the results from Sculptra are not immediate, this product provides a gradual increase in skin thickness. Your doctor will determine the number of additional injections needed. Sculptra is a safe, synthetic, and biocompatible material that is injected below the surface of the skin in the area of fat loss. According to Sculptra Aesthetic, this product is intended for use in people with healthy immune systems as one time treatment regimen of up to 4 injection sessions that are scheduled about 3 weeks apart for correction of shallow to deep nasolabial fold contour deficiencies and other facial wrinkles. The main ingredient is a biocompatible, biodegradable synthetic material that has been used by physicians for decades. Have your friends wondering how you look so refreshed and youthful. 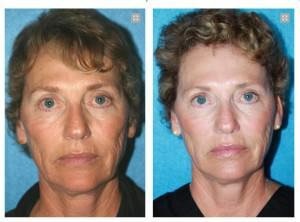 Sculptra is the ideal remedy that provides the long-term look of youth without going through a surgical procedure. Slow the aging process and feel beautiful by adding the fullness and vigor to your face. Sculptra is a non-evasive method for an overall natural-looking approach. 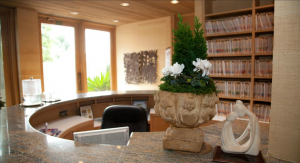 Dr. Stephen Krant is proud to offer Sculptra at the SK Clinic in La Jolla and has helped numerous patients with this non-surgical procedure. For any questions or to set up an appointment, please contact (858) 454-3161.